From The Sheldon Boomfield Collection. 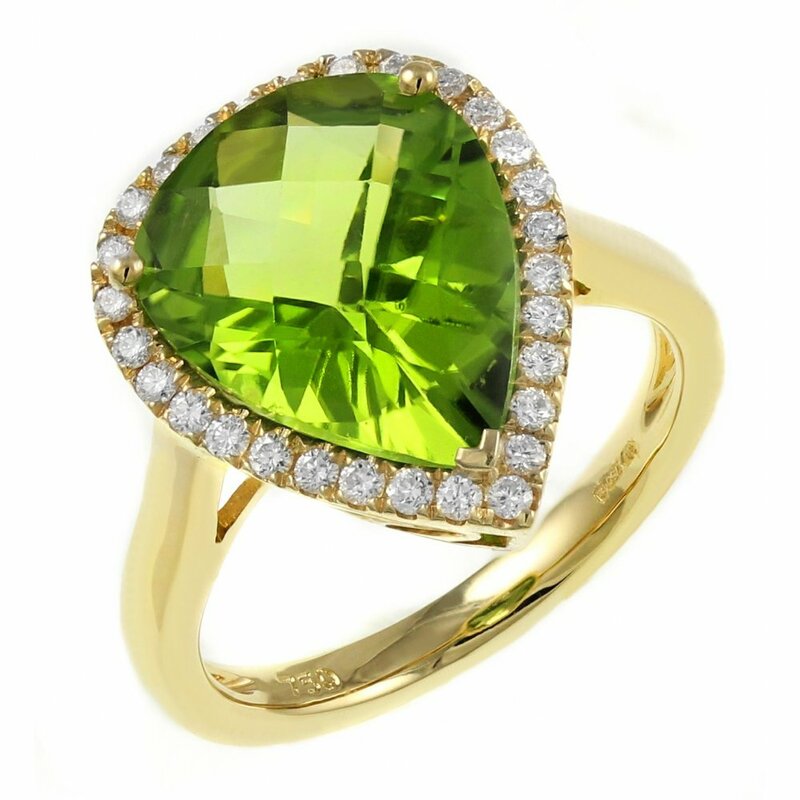 18ct yellow gold 5.13ct peridot & 0.24ct diamond cluster ring. Single row of diamonds to compliment.Pear shape peridot in a claw setting = 5.13ct. Round brilliant cut diamonds in a claw setting = 0.24ct.